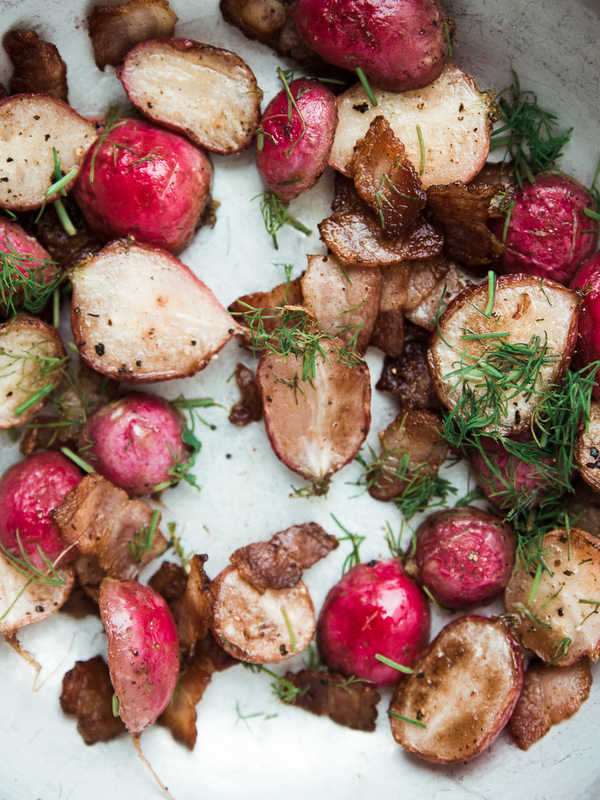 Did you know you can cook a radish? You can! I like mine sauteed in lots of butter, with bacon. And the combination with horseradish really hits the spot for me. I’m afraid this is one of those fleeting recipe posts where I’m not offering much beyond the photos or a list of ingredients. Forgive me, I’ll be back soon! You can head over to Abi’s post over on These Four Walls to find this recipe too. Perhaps she’s been less fleeting and has more to say than me, she will have something else to add, I’m sure. In the meantime, I’d love to know if you’ve tried cooking radish any other way? Butter and bacon is an obvious winner but is there an option that doesn’t clog my arteries up quite so much? I suppose if not doused in fat, just the standard raw radish in a salad is still available. Enjoy! 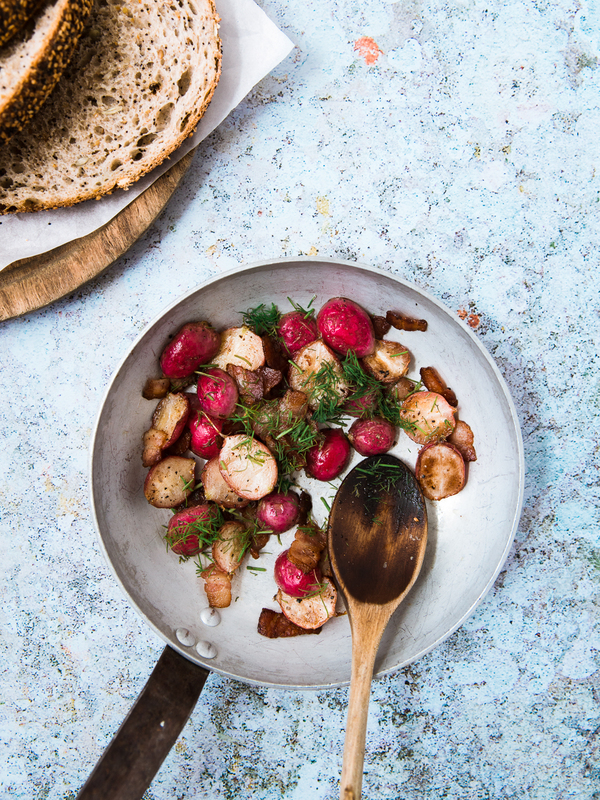 Halve the radishes and chop the bacon while you heat a small frying pan over the hob. Add a good knob of butter to the hot pan, followed by the bacon and fry until crisp. Remove the bacon with a slotted spoon and set aside. Add the radish to the pan cut side down, cook over a moderate heat until browned and softened for roughly 10 minutes. Mix together the creme fraiche and horseradish with half of the dill, season with plenty pepper. 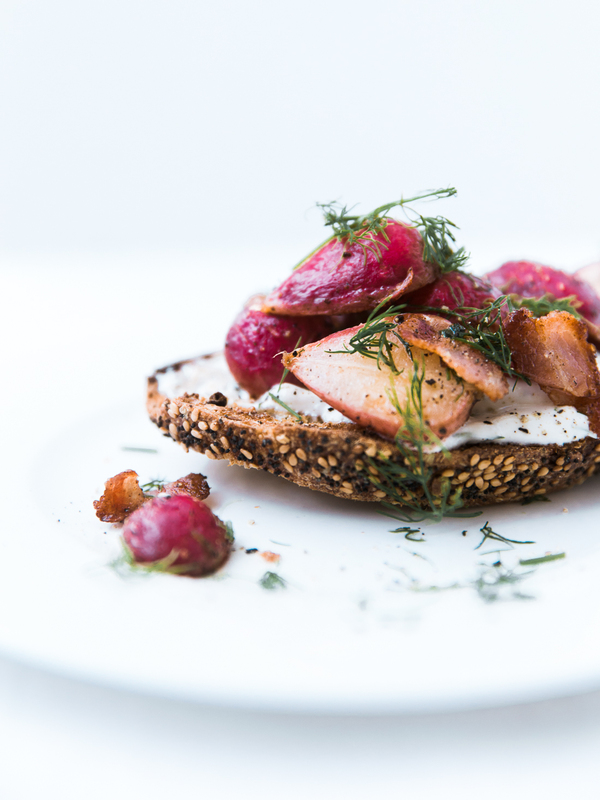 When the radish is almost ready, toast your sourdough. Add the bacon back to the pan and stir through with the remaining dill. 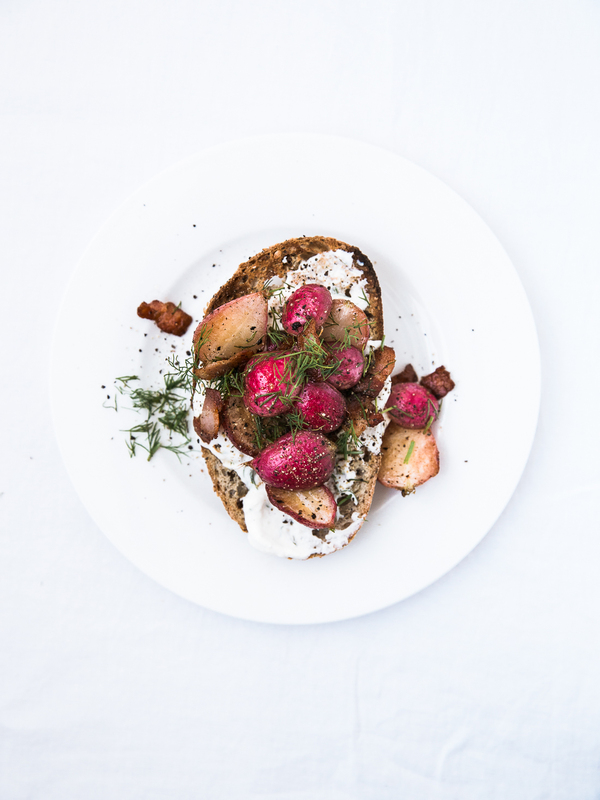 Spread the toast with the creme fraiche, pile on the radish and bacon, finish with black pepper.